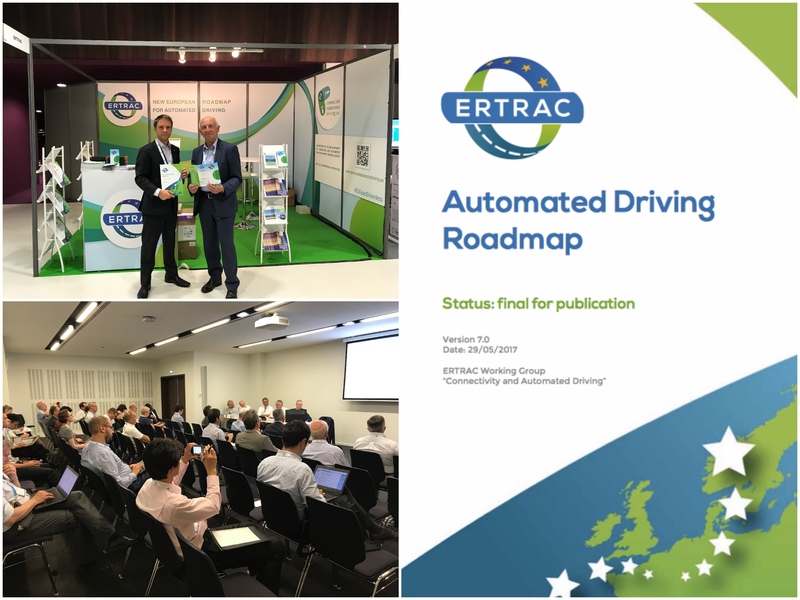 The new version of the ERTRAC Automated Driving Roadmap has been be presented and released at the ITS Congress in Strabourg on Tuesday 20 June 2017. ERTRAC and the European project CARTRE joined the exhibition and organised a session during the Congress to present the new document. This new version provides common definitions of automation levels and automated driving systems, agreed within the industry. It presents development paths for automation of road transport for three applications: passenger cars, freight vehicles, and urban mobility vehicles. The Roadmap set up 11 challenges to be tackled for automation to become a reality in Europe. It calls for collaborative Research & Development activities at European level, in order to ensure harmonization and inter-operability. 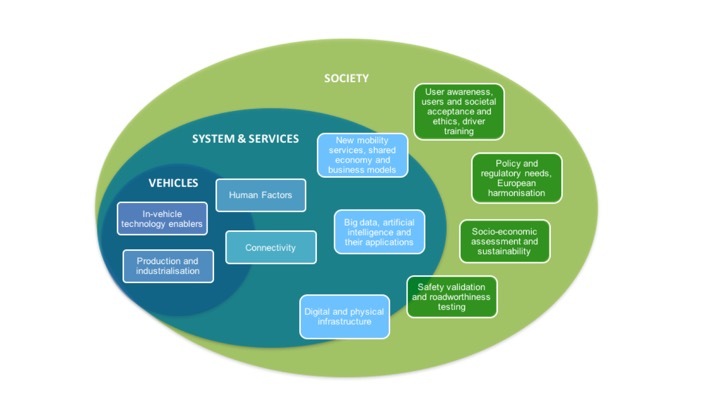 It is also a reference document listing all European projects and activities supporting connected and automated driving, as well as the initiatives taken at national level by EU Member States. You can access the electronical version of the Roadmap.